A lot is being written about how to best lay the foundation for our country’s economic recovery. There seems to be little consensus on whether we should borrow capital, which increases our national debt on the promise of stimulating the economy through increased spending, or if we should shrink the size of government to reduce the national debt and reduce taxes to preserve our next generation’s future. Somewhat lost in the national dialogue is how communities must independently find ways to resolve problems of high unemployment that hinder local recovery. That’s because neither the federal government nor traditional banks are underwriting local recovery as they should. In 2008, the federal government committed to spend $475 billion (TARP funds) to primarily stabilize the balance sheets of troubled banks that had been hit with widespread loan foreclosures. Fast forward to 2012: nearly four years later, in response to unprecedented customer deposits and large amounts of cash, these rescued and profitable banks have established large advertising campaigns directed at lending to small businesses. Due to the low cost of funds, banks can now provide low interest rates and they say they are aggressively making small business loans. However, pressures from FDIC examiners, high credit score requirements, and demands for increased collateral have squeezed the number of qualified businesses into a very small pool. Vital small businesses needing relatively small amounts of capital are lured by promises of a loan only to be worn out and turned away. What can be done to help these small local businesses that may represent one of the best paths to our economic recovery? With enough capital, small businesses can spur job growth, says Albina Opportunities Corporation’s Terry Brandt. Here’s how we might tackle things in Oregon. The results of a newly completed study, Oregon Capital Scan, commissioned by the State Treasurer’s Office, Business Oregon, the Oregon Community Foundation, and Meyer Memorial Trust were released this summer. Its primary goal was to identify gaps in Oregon’s capital ecosystems. It also offered recommendations of how investments could be made using an “Oregon Portfolio” investment conduit using intermediaries to target specific gaps in capital around the state. In my opinion, significant to the success of this strategy is to find ways to operate between more stringent bank lending practices and the large public give-away stimulus packages. Currently non-bank microlenders have done a good job of trying to fill this demand for very small business entrepreneurs. However, there are large gaps in capital above what microlending can provide. As stated in the OCS report, there is a need for an intermediary non-bank lending platform that is designed to be both innovative and agile. I believe that it must also possess a deep connection with the local community to understand how to best leverage scarce public and private resources in the most efficient ways possible. There must be accountability in the process, and its outcomes, including job production, must be measurable indicators of success. Our limited resources must be invested with just the right dose of risk tailored to satisfy both the financial and mentoring needs of existing small businesses. The intermediary lender must be personable, proactive, and an advocate for the success of small business borrowers. It must think like small businesses and take time to understand the needs of its clients to provide tailor-made business advisory services to assist them to be successful. It must be transparent – no hidden fees, it must be upfront about its process, and it must be honest with what can and cannot be done. Perhaps most importantly, it must have a belief that strong local communities shaped by successful small businesses will be the rising tide that lifts all boats. At this time, there is a large pipeline of qualified loan requests in Oregon and around the country that cannot be funded due to a lack of lending capital. These businesses represent the growing marginalized ring just outside the small lending pool referenced earlier. Yes, they have suffered reduced credit scores and yes, their assets have been eroded as the result of the recent financial collapse not seen in recent memory. And they may be higher-risk bets than those in the small-risk pool. However, like large banks that received TARP funds, they also need help to repair their balance sheets. Even without government subsidy, through their perseverance and hard work, they have survived and their cash flows have returned. But in order for them to again grow and hire more people, they must have access to capital. At Albina Oportunities Corporation, we have assumed a role in finding innovative ways to cost-effectively and efficiently work to kick-start our local recovery, beyond traditional bank lending. We have seen that one job is retained or created for every $4,130 of loan funds we disburse, and we’ve seen no loan losses while substantially increasing living-wage jobs in the community. More importantly, we’ve established a lending platform that addresses the capital needs of local small businesses not fulfilled through traditional lending resources. In fact, every AOC loan has gone to a small business that has been rejected by a bank. Our work has only begun to address the demand for our loans and need for our advisory services. It will take further capital investments in our lending model to continue this necessary work. Without this additional support, our initiative and others like it will only scratch the surface of providing access to capital by qualified local small businesses. 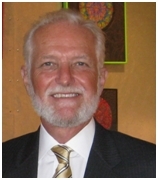 Terry Brandt is executive director of Albina Opportunities Corporation. November 12 to 18 is Global Entrepreneurship Week, and Ecotrust and Portland, OR are getting a running start on the festivities, with a focus on social entrepreneurship. We’ll be hosting events at Ecotrust, talking about others around town and curating some extra discussion around social enterprise. How are you @unleashingideas during #GEW? See you on Twitter.